Japanese men are not considered by the outside world to be as openly loving as in the west. In fact when I talk with many of my students the men who have kids and love them confess that they have never told their children that they love them. Some of them would not even confess that they would tell their spouse that they love them. The closest that they get to I love yo u is the word だいすき(daisuki) which literally translates to the word I like you a great amount. What does that say about feelings in Japan is it strange for a foreigner to see this or as I am married to live this. There is a word in Japanese that translates to love it is 愛してる(aishiteru) I love you. But it is very rarely used, this was a constant thought as I considered my romance novel Love. If you have read it you get the story of Robert who is talking about his love and if you have read the companion novel excerpts you will see that his love is Japanese though she was born in the USA she would be considered Japanese American. What does this topic have to do with anything. Well in my class one of my students brought about an interesting point about Japanese society, what follows is my students essay. Most of Japanese typically traditional houses once had some fusuma (paper sliding doors) and shoji (sliding paper screens) as partitions between rooms. When we had big events or ceremonies as wedding parties and funerals we could make two or three rooms into a very large single rather quickly by taking down those partitions. It was natural for all the members of the family (which had more children than in the modern family, consisting of a few generations under the same roof) had time to spend together in the same rooms. The majority of the houses had “irori” (like a fireplace without a chimney) and the whole family gathered around it to eat, work and chat. 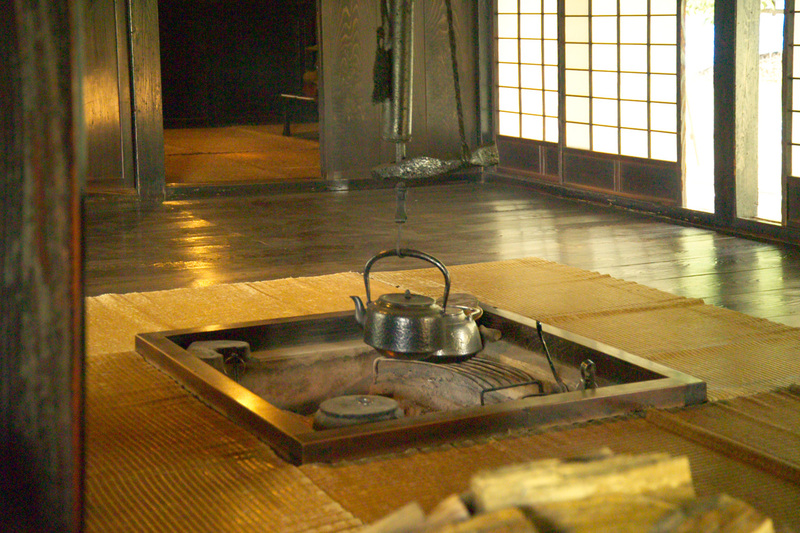 An irori room was, in a manner of speaking, a living room and they always communicated with each other there. Children studied, enjoyed reading books and playing, watched TV and so on in the rooms where their parents could keep their eyes on them. In the 1960’s a new life style called “Kaku-kazoku” gradually spread around Japan. It means a small family consisting of parents and children only. In those days, Japan was in a period of high economic growth. Many young people living the local regions went to work in the big cities and made their families there. So their old parents also became Kaku-kazoku. Here and there Japan was on track towards the nuclear family. Not only the area from within the houses but also the family connection changed. Many people came to think that such a lifestyle was more comfortable than living with many different generations. Now is the time that young families have their own residence even if their parents own large plots of land and live in big houses. In addition, with the idea of individualism , our housing situation has gradually changed. The rooms are partitioned by walls, not fusuma and shoji. It’s normal for children to have their own rooms. They can play games, chat and exchange mails with anybody through their own phones, and watch TV. They can do them all without their parents’ interference. If they shut themselves up in their rooms, they never see their fathers who go to work very early and come back home very late for days. There’s no place like an irori any more. A comfortable kitchen and a sophisticated living room have replaced it. It’s no exaggeration to say that those changes take opportunities of communicating and understanding each other away from the families. We see the same conditions in our communities, too. Ceremonies as weddings and funerals tend to be held in ceremonial places. And we often hold our domestic events at the restaurants or we we are also invited to other such places. Of course they are very convenient and easy for us, but I think such ideas also come from the structure of modern houses. These changes keep us away from opportunities to step into our neighbors houses and associate with them. In this way I think there’s a big correlation between our lifestyle (including housing situations) and communication.